Jameson Inn & Suites Hazlehurst is a great choice for a stay in Hazlehurst. Guests can enjoy the health club, along with onsite mini golf. There's also a spa tub. We are near to local attractions such as HJD Historical Museum, Jeff Davis Courthouse, and Jefferson Davis Fairgrounds. 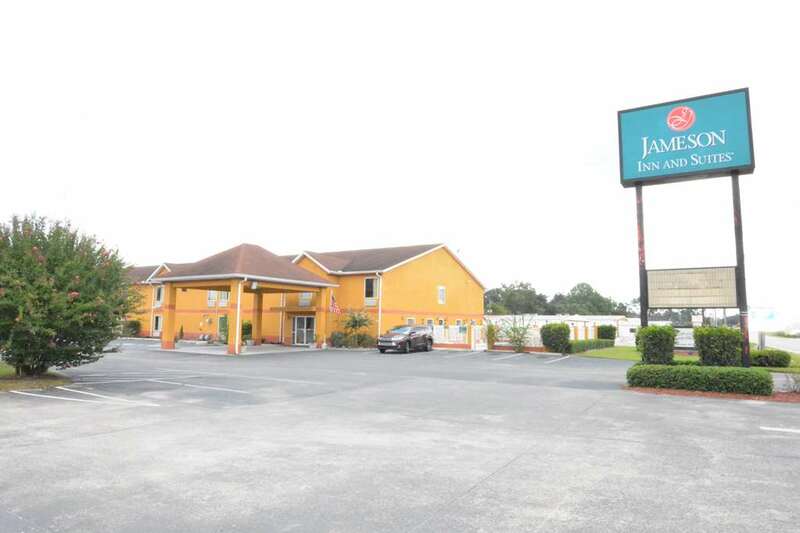 Jameson Inn & Suites Hazlehurst is your best choice within the south-central region of Georgia. Discovered stuck and petrified in a tree, Stuckie is the highlight attraction at Southern Forest World. "See the mummified dog!" A plaque marks the spot and the teal-roofed building still stands, but not as a Stuckey's. Look through glass to see the Claxton Fruitcake Company's seven huge fruitcake ovens in action.